The bar at The Palomar is perfect for the solo diner. Photo: Helen Cathcart. Going out for dinner is a social activity, right? It’s something we do with other people, to share the experience, to talk about what we’re eating, to catch up with friends or family. Increasingly however, people are eating out alone. Perhaps you find yourself with time to kill and a rumbling stomach, or you’re out on a solo assignment for work, but you still need to eat. What if your companion cancels, or you've been stood-up, but refuse to let the change of plan ruin your evening? You get to eat in peace. Sometimes, it can be nice to just enjoy all the perks of a restaurant without having to make conversation with anyone else. Soak up the atmosphere, enjoy the food, pay someone else to do the washing up, and just be at one with your thoughts. Zen. You don’t have to share what you've ordered. There’s no fear of your companion asking for a taste, no-one to pose the dreaded question as to whether or not it’s a good idea to “share a pudding” (hint: have a whole one). Ordering just got a lot easier, as there’s no potential tussling over who orders what dish. This is really dodging a bullet, that bullet being the incredibly boring debate over why we’re never allowed to order the same dish as someone else. Not a problem for the solo diner — they just order, unless of course there’s some internal trouble with decision-making in which case, you’re on your own. Or hadn't you noticed? Getting seated isn't nearly as much trouble, particularly at places with mostly window or bar seats. Window seating is rubbish for more than one person anyway, right? It’s only good for shovelling in food while staring blankly ahead or watching the street life outside. The other option is to read, and plenty of people do. After all, we read everywhere else in London: on the tube, in the park, on the bus, in the pub, even just walking around. You’ll be in and out much faster. If you want to linger, that’s fine, but it’s much easier if you’re alone to nip in and out, and still be home in time for Eastenders. Restaurants are wise to this, too, so they welcome the solo diner for this reason. 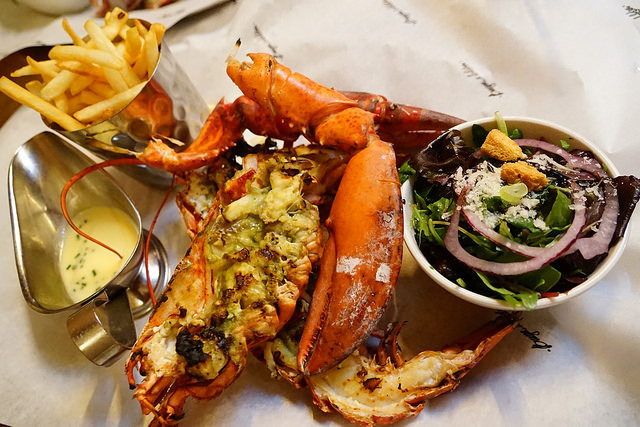 OK, so there are a couple of drawbacks that are never going away, the biggie being the fact that it’s not possible to try as many different dishes in one sitting. Greedy? Us? This is particularly a problem for certain cuisines, such as Chinese (broad strokes there, but you get the gist), where lots of dishes tend to be shared. There’s a similar problem with tapas. The second problem is paranoia, we tend to think other people are judging us, but here’s a fact: no-one else cares. Do you judge others when you’re eating out with friends? The answer, hopefully, is no. 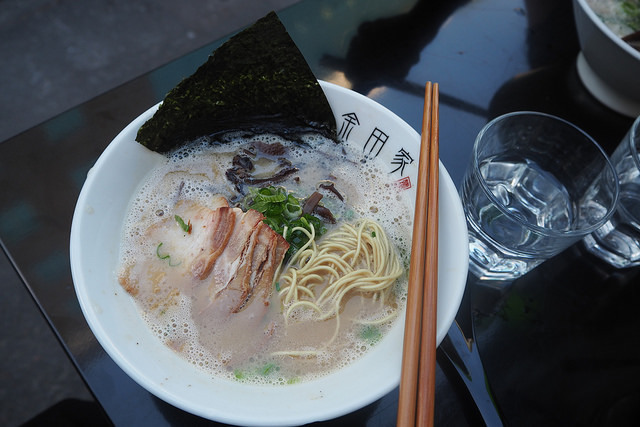 A bowl of ramen is perfect for the solo diner, and there’s no one to sit opposite you and laugh as you splash sauce down your chin. Bocca di Lupo isn’t cheap, but why not splash out on a meal for one? There’s counter-seating, so you won’t feel awkward at a table on your own, and better still, the seats face the open kitchen space, so you’ve plenty of entertainment at the same time, watching the chefs at work. 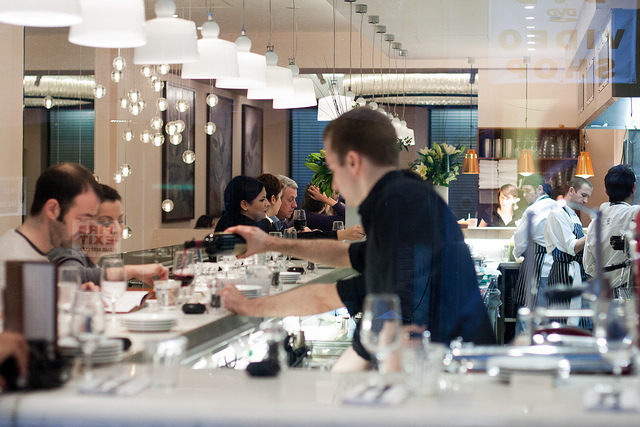 Counter seating is obviously a dream for the solo diner and luckily, London restaurants have plenty of it. Sit at the bar at Spuntino, sink a couple of excellent cocktails, eat the peanut butter and jelly ice cream sandwich — possibly twice — then give yourself a big pat on the back and go home. This no reservations barbecue joint is tiny, hence the no-bookings policy, but it really isn’t so much of a problem for you any more, because you’re just one person! You can slot in anywhere. Ribs with a side of bone marrow mash, please. A brilliant little wine bar on Maltby Street, but there’s limited seating at stools and long benches. Not a problem for you. Order the baked ham with mustard. The solo diner deserves lobster. And why not? Because you're worth it. Photo by lin Judy on Flickr. Solo dining for beginners, this one. A pizza really isn’t as intimidating for the uninitiated soloist as, say, three courses and a carafe of wine. This is one for the reluctant loner, because you’ll never be alone at the Palomar bar. 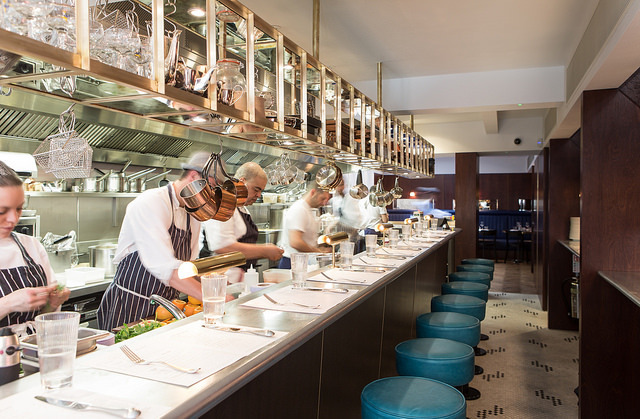 This cosy area means you’ll be shoulder-to-shoulder with other diners, and the chefs like to chat, too. They’re also known for slinging the odd shot or two your way, gratis.